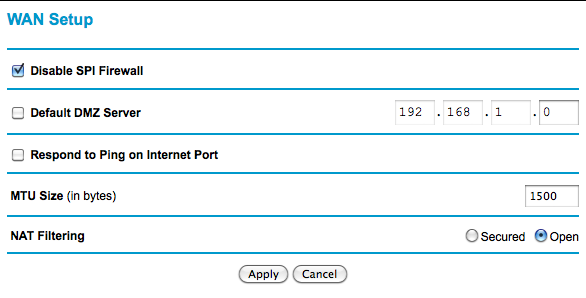 Please be sure to disable the SPI firewall under "Advanced" > "WAN Setup". Also, in this version of the firmware there is no option to disable the "SIP ALG" so the "NAT Filtering" option must be set to "open". In other versions it mentions "Disable SIP ALG" with the box checked. Unchecking the box allows the system to work unhampered.